Bichelle Harrison, L.M.T. , Founder, is a graduate of the National Massage Therapy Institute, an NCBTMB school, takes pride in the field of massage as a Massage Therapist. She has attended the Steiner Training Academy at the Steiner Maritime division in London where she became certified in the Elemis Deep Tissue Muscle Massage, Elemis Aroma Spa Seaweed Treatment, Elemis Exotic Lime and Ginger Salt Glow, Elemis Body Sculpting Cellulite and Colon Therapy, Elemis Aroma Stone Therapy, Elemis Thai Herbal Poultice Massage and Bamboo Massage. Also completed the Ayurveda Wellness Therapies: Shirodhara and the Shirobhyanga classes at the academy. Her passion for the field is evident in her practices, especially when it comes to helping others to be one step closer to becoming stress free. It provides deep satisfaction seeing her clients leave refreshed with loads lifted off of their shoulders. “Making sure my clients leave theirmassage satisfied is my duty”. For that reason, her reviews have all been outstanding. While working on the Celebrity Cruise Line Bichelle has massaged thousands of guests including celebrities, radio and TV personalities, dignitaries, etc… who have deemed her massage as the best they have ever experienced! With remarkable comments from the clientele she has previously massaged, Bichelle has decided that no time is better than now to launch out on her own to continue to share her professionalism, experience, knowledge, and intuitive nature toward helping and encouraging others now that she is here on land to stay. 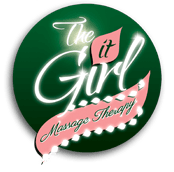 With hopes to expand her practice as it grows, she plans to work with many celebrity clientele, film crews, counseling services, etc…there is no limit to what this “It” Girl can do or where she can go.